The big Tesla Model Y reveal is tonight, where Elon Musk is expected to show off a small crossover similar to the Model 3. 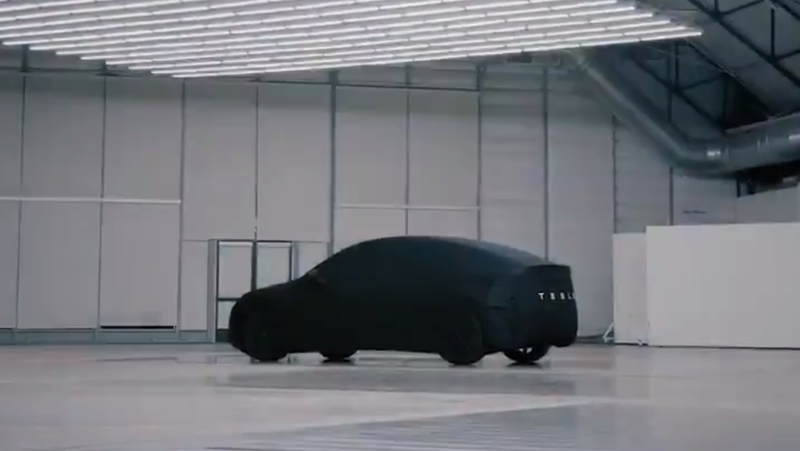 To whet our appetites, Tesla posted a teaser (watch the full thing on Electrek) that shows the general shape under a cover. It looks like a car! Once again, this is a big deal for Tesla—like the Model 3 it’s expected to be a volume-seller, except perhaps even more so, given the boom of crossover sales we’re seeing right now. It should be, essentially, a bigger version of the Model 3, though we are expecting potentially a few surprises with it as well. And it should be poised to fight back against the new electric luxury SUVs coming from Audi, BMW, Mercedes and more. What secrets lie under the sheet? We’ll find out more around 8 p.m. PST/11 p.m. EST tonight.